If you’re planning a cookie exchange this holiday, check out these recipes for the best Christmas cookies! The holidays and cookies go hand in hand, so it’s not time to start a new diet! I don’t know about you, but my favorite thing about the holidays are Christmas cookies! I love baking Christmas cookies with my family, giving them as gifts in those cute holiday tins, and of course, eating them! While I have my favorites, I love trying new Christmas cookie recipes for cookie swaps and Christmas cookie exchanges during the holidays. If you’re planning a cookie exchange or cookie swap with family, friends or co-workers this holiday season, be sure to check out the best Christmas cookies below. We’ve rounded up our favorite Christmas cookies for you, so you can narrow down which Christmas cookie you will make for your cookie swap this Christmas. When it’s time for your cookie exchange this year, you will be all ready to go with the 25 Best Christmas Cookie Exchange Recipes! If you want to make some fun Christmas cookies this holiday, you have to attempt these adorable snowman cookies! Seriously, how cute are these?! 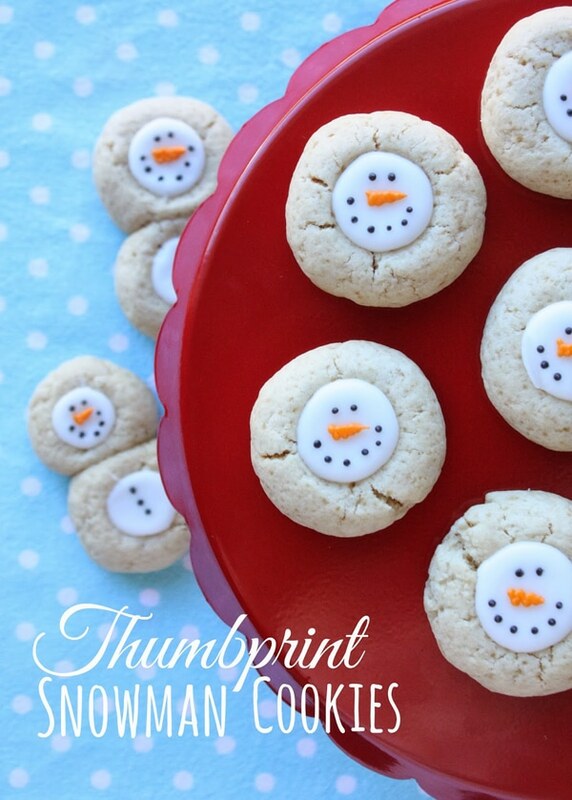 Everyone will love these cute Christmas cookies at your cookie swap! Looking for more Christmas desserts, check out these 20 Cute Christmas Desserts. You can’t forget about this popular Christmas cookie recipe for chocolate cherry blossoms! They are perfect for a cookie exchange. Plus, they’re red and delicious. You will definitely not go wrong if you make these easy Christmas cookies for your cookie exchange parties. 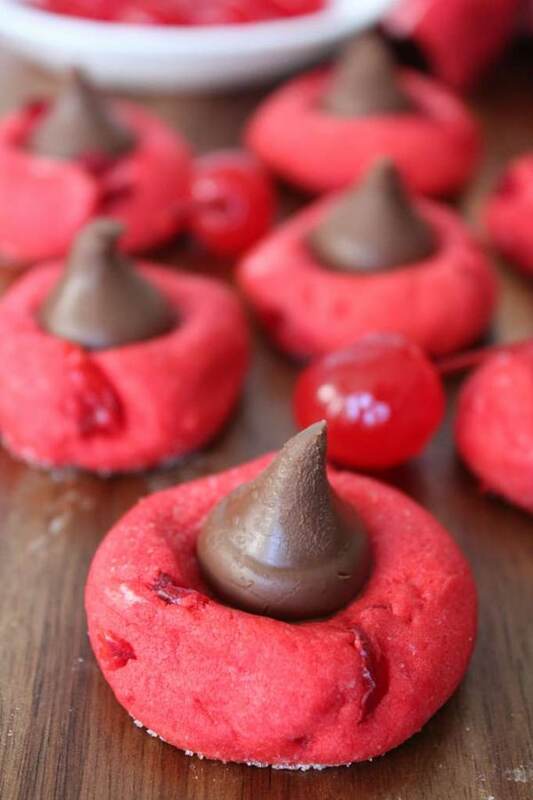 If you’re looking for the best Christmas cookies, look no further than these delicious chocolate kiss powder puff cookies! 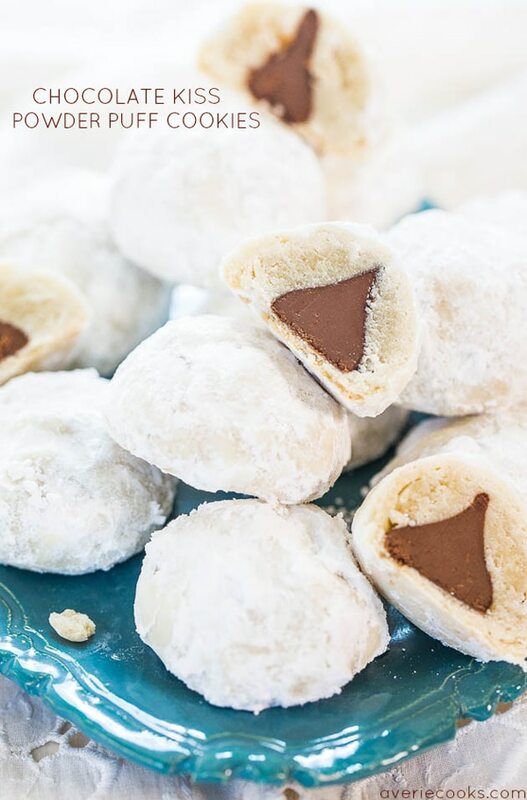 With a surprise Hershey kiss inside and powdered sugar on the outside, these easy Christmas cookies can be whipped up in no time! What a great Christmas cookie recipe for a cookie exchange. 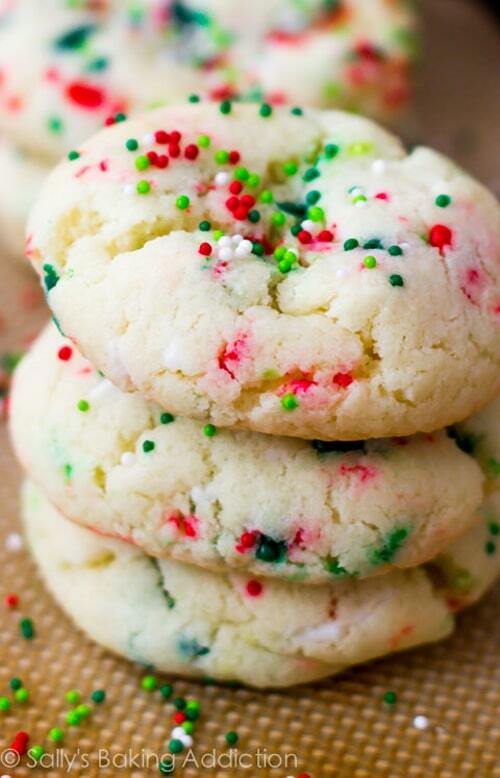 These holiday confetti cake batter cookies look so festive, don’t you think?! These delicious Christmas cookies feature red and green sprinkles, so this definitely makes them the best Christmas cookies! These popular chocolate Christmas cookies are loved by many and can certainly be seen on a tray or two at Christmas. These homemade Christmas cookies are easy to make and make the best cookies for a cookie exchange. These snowman cookies are by far the best Christmas cookies ever!!!! 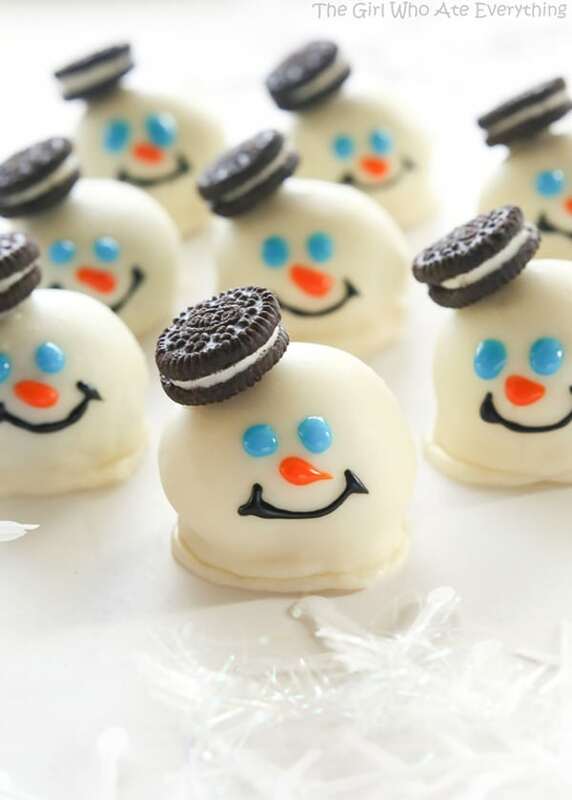 How adorable are these melted snowman cookies?! 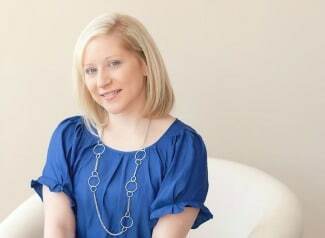 They are so fun, unique and easy to make. 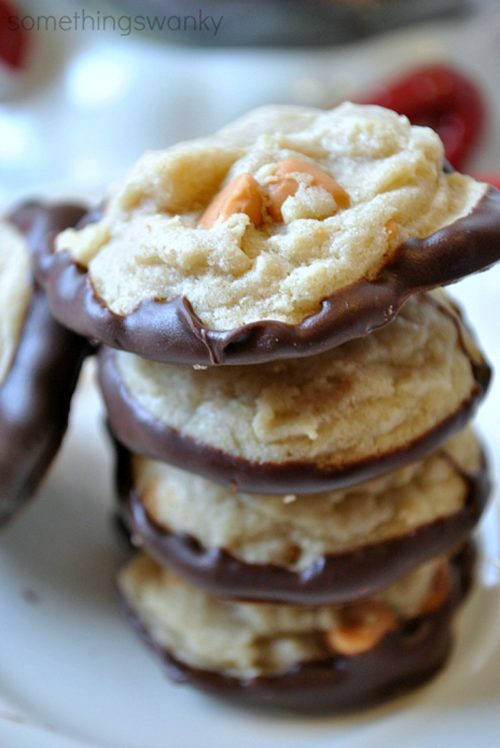 They are definitely our favorite Christmas cookie recipe for a cookie exchange. 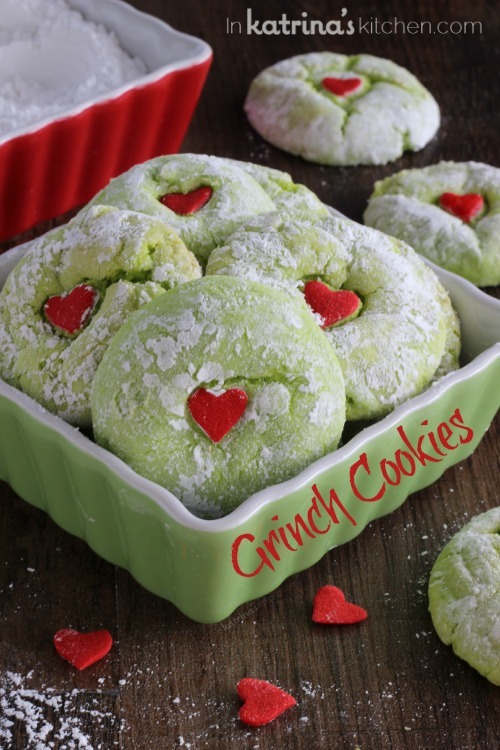 These fun Grinch cookies come in a close second for the best Christmas cookie. These easy cake mix cookies will definitely put everyone in the holiday spirit. Make sure these Christmas cookies are on your cookie tray this holiday season. Everyone will love them, especially the kids! Did I forget to tell you the Christmas cookies just keep better and better as you scroll down?! Yes, they certainly do! 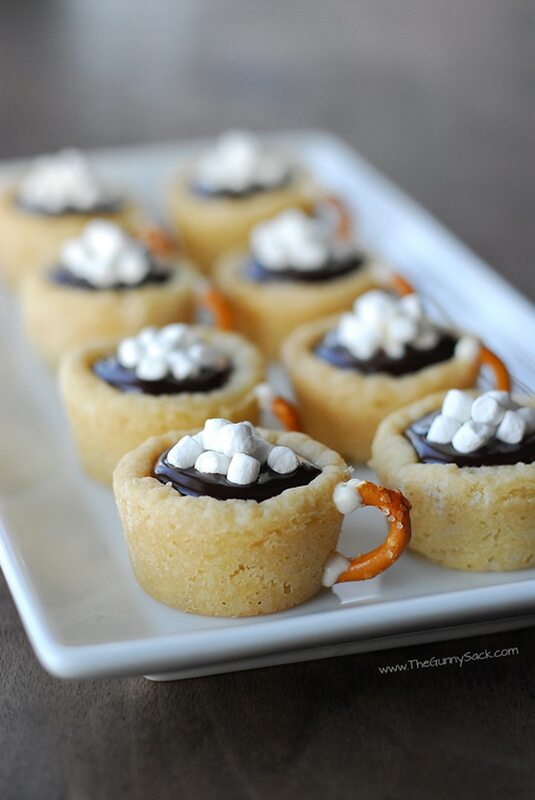 These adorable hot chocolate cookie cups are so unique and creative. They definitely deserve a spot on the best Christmas cookie list! Walk into a cookie exchange party with these cookies and everyone will think you’re a master baker. 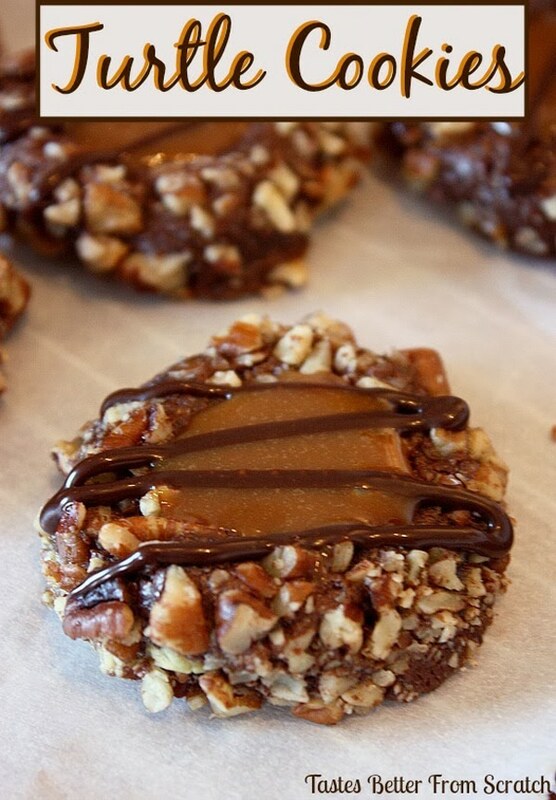 Filled with caramel and drizzled with melted chocolate, these mouth-watering turtle thumbprint cookies are to die for! If you’re on the hunt for Christmas cookie ideas and love the combination of pecans, chocolate and caramel, these Christmas cookies are your best bet. Who doesn’t love a good buttery shortbread cookie, right?! If you’re looking for easy Christmas cookie recipes, take a look at these Christmas cookies. Add some festive red and green sprinkles for Christmas and you’re all set to take these delicious cookies to your cookie swap. 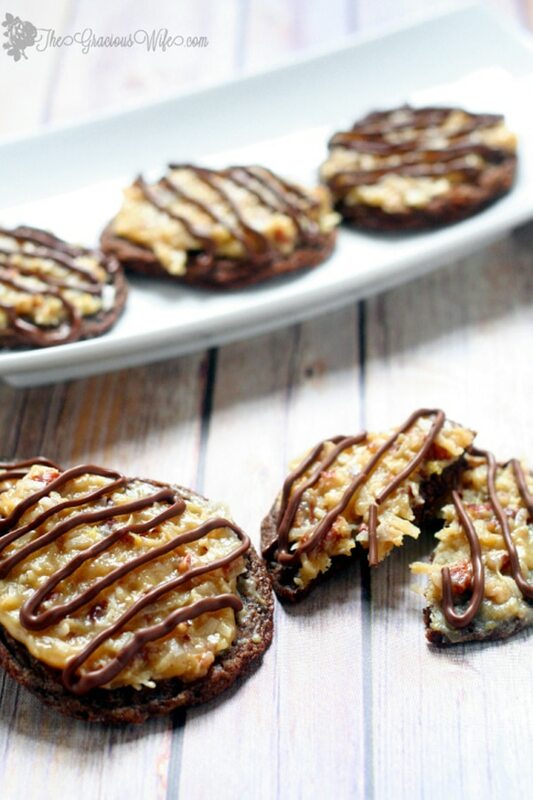 These delectable German chocolate cake cookies are a delicious combination of sweet and decadent chocolate cookies and gooey caramel coconut pecan frosting! YUM! These chocolate Christmas cookies will definitely not disappoint! It’s like having a small German chocolate cake! If you want to make the best Christmas cookies, put these on your cookie list! 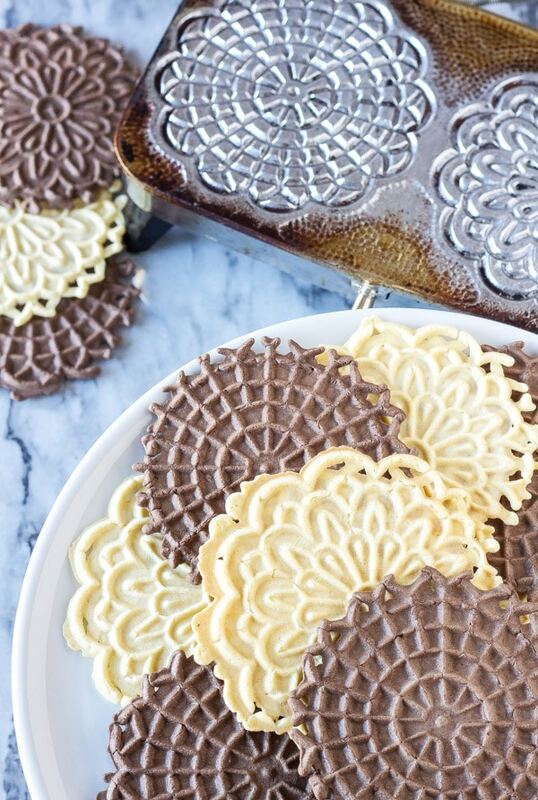 In case you aren’t familiar with pizzelles they are a flat, round, Italian, waffle type cookie. They are light and delicious and the perfect Christmas cookie for a cookie exchange party. They are easy to make and a unique Christmas cookie for those who aren’t Italian. 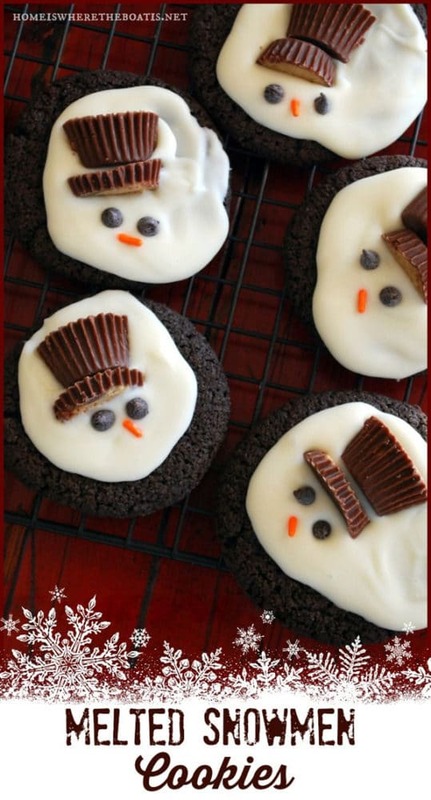 Here’s another melted snowman cookie that are fun and easy to make for a cookie swap. 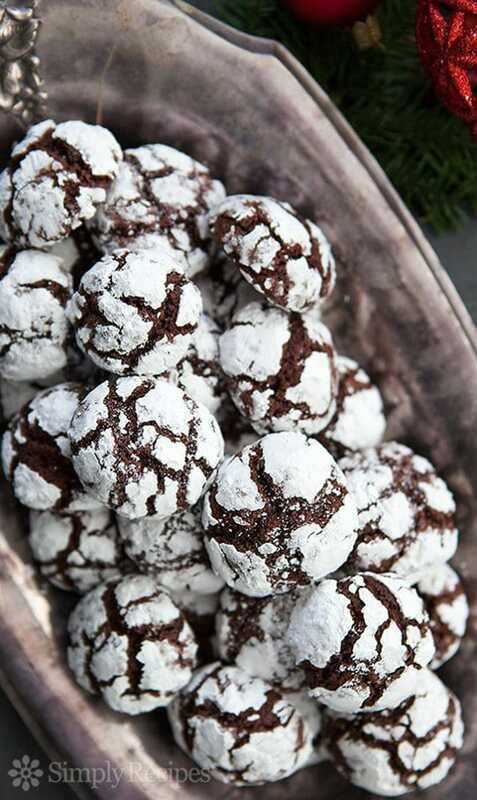 These chocolate Christmas cookies are so delicious and will be a hit at any Christmas party. They are easy enough that the kids can help you make them. They will have a blast making these Christmas cookies! Be sure to leave one or two for Santa as well! If you LOVE chocolate Christmas cookies, these soft and chewy triple chocolate fudge cookies will certainly put you under their spell. They are every chocolate lover’s dream and make the best Christmas cookies for any cookie exchange or cookie swap. 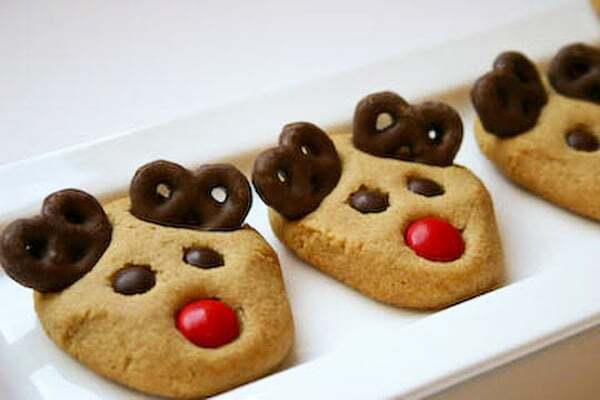 If you want to make the best Christmas cookies for an upcoming cookie exchange party, these adorable peanut butter reindeer cookies will have everyone talking. They are so festive for Christmas and super delicious too. The kids will definitely love these Christmas cookies. We’re not done with the best Christmas cookies just yet! 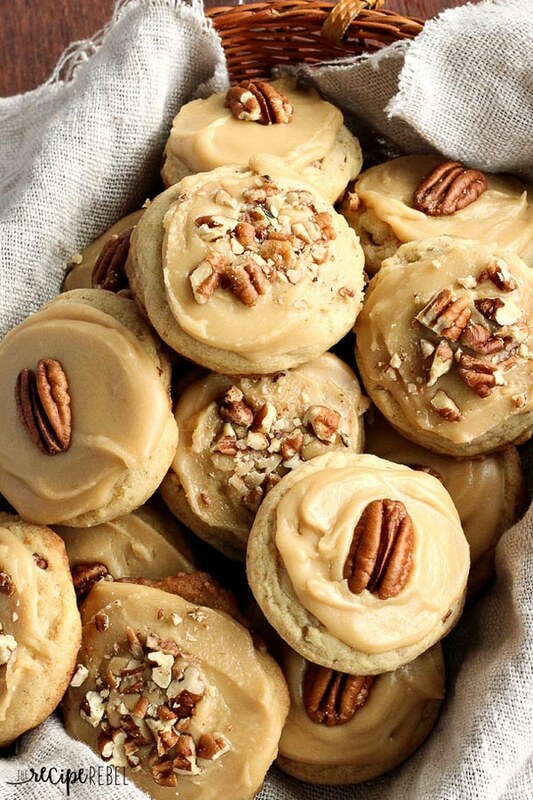 These brown sugar pecan cookies will melt in your mouth. Try your hand at these Christmas cookies for your upcoming cookie exchange parties. This cookie recipe will be a nice change from your typical Christmas cookies. These Russian tea cake cookies are one of our favorite Christmas cookies to make every year. 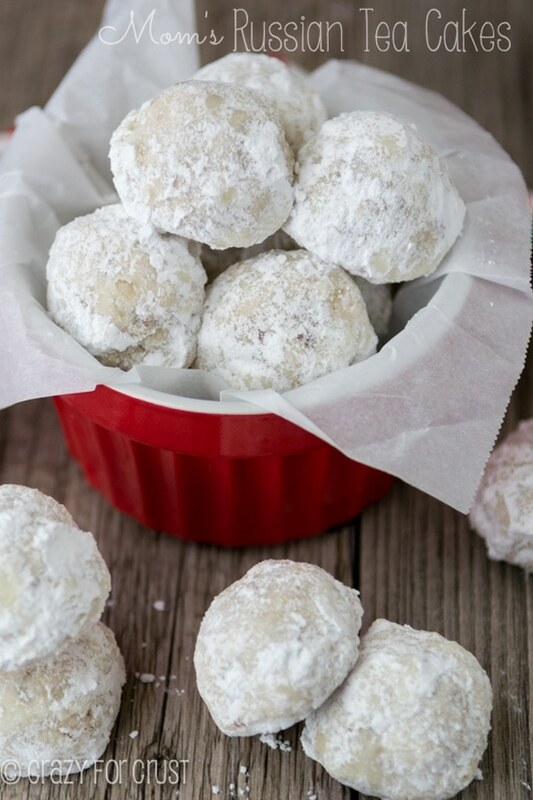 Filled with pecans and rolled in powder sugar, these cookies will melt in your mouth. Your Christmas cookie platter will not be the same without these Russian tea cake cookies. Do you LOVE peanut butter? 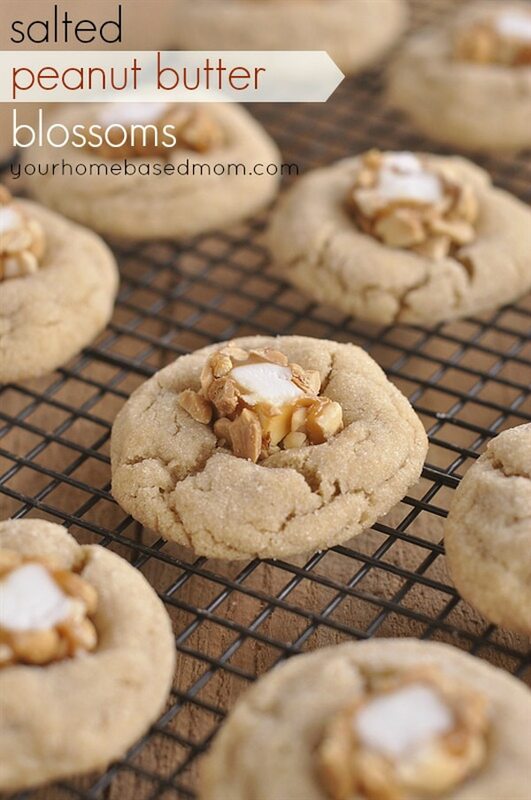 If so, there’s nothing more delicious than these salted peanut butter blossoms. Mix up your Christmas cookie recipes and add in some delicious peanut butter cookies with this Christmas cookie recipe everyone will love. These unique Christmas cookies will have everyone wondering how to make them. 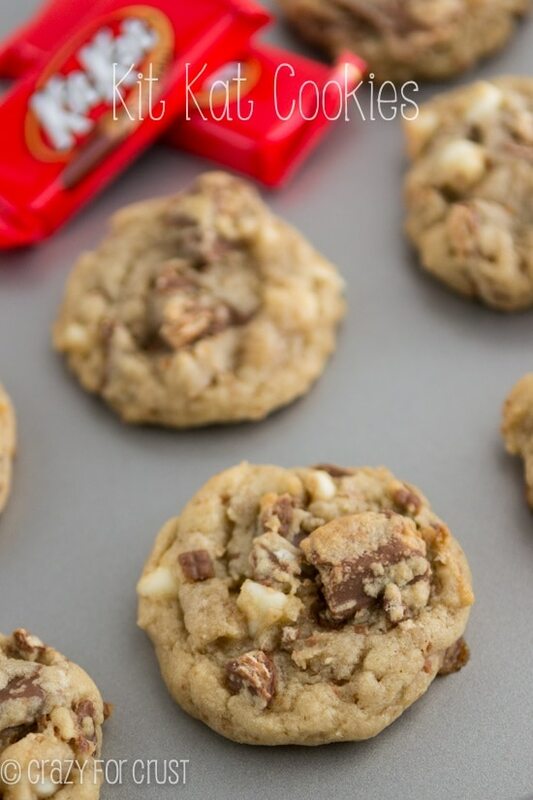 This cookie is a fabulous combination of a snickerdoodle and a chocolate chip toffee cookie with a thin coating of chocolate on the bottom … SAY WHAT?! 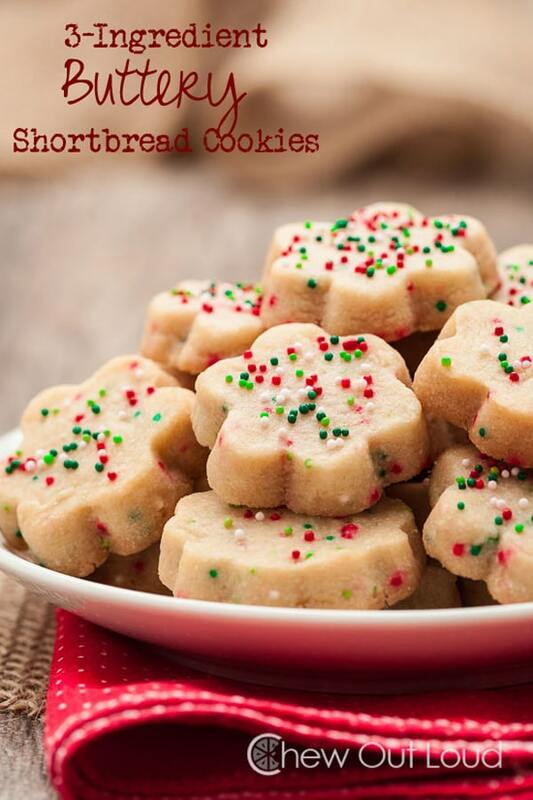 These little pieces of heaven definitely make our list for best Christmas cookies! If you’re a fan of cookies and cream, these will be your new favorite Christmas cookies. 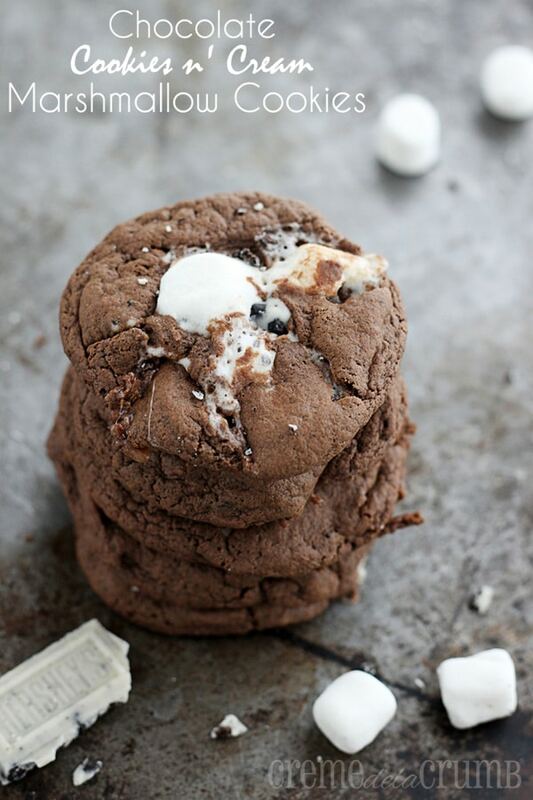 These chocolate Christmas cookies filled with marshmallow and cookies and cream, will be a hit at any cookie swap this Christmas. 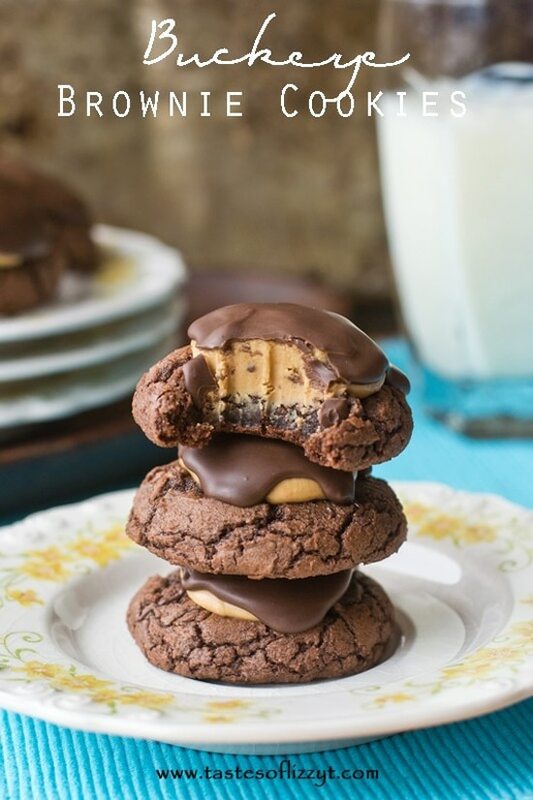 These heavenly chocolate peanut butter cookies are a sweet combination of brownies and buckeyes. Who wouldn’t love these as Christmas cookies?! These sweet cookies are definitely at the top of our best Christmas cookies list. Who can deny the combination of chocolate and peanut butter? It’s the best combination in the whole world. Maybe you’re in the mood for Christmas cookies with strawberry. If you are, we have an easy and delicious Christmas cookie recipe for you. 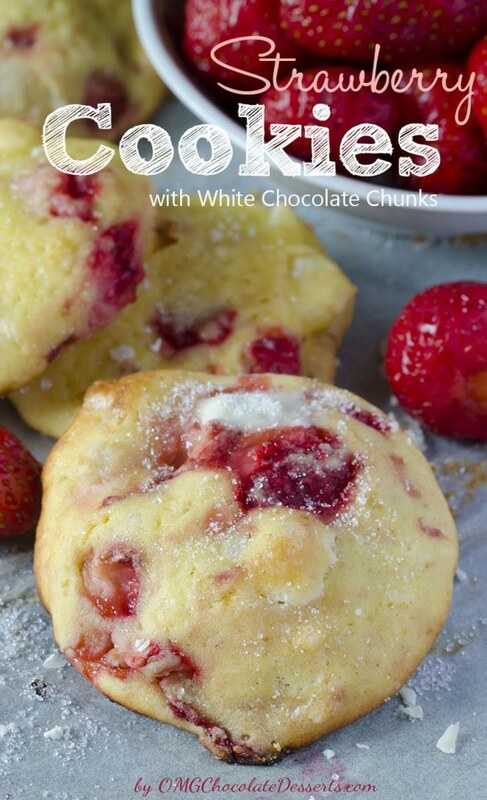 These strawberry cookies with white chocolate chunks will be a nice change from all of the chocolate Christmas cookies. Make these delicious Christmas cookies for any cookie exchange or cookie swap. We know anything red velvet, especially for Christmas, will be a total hit. 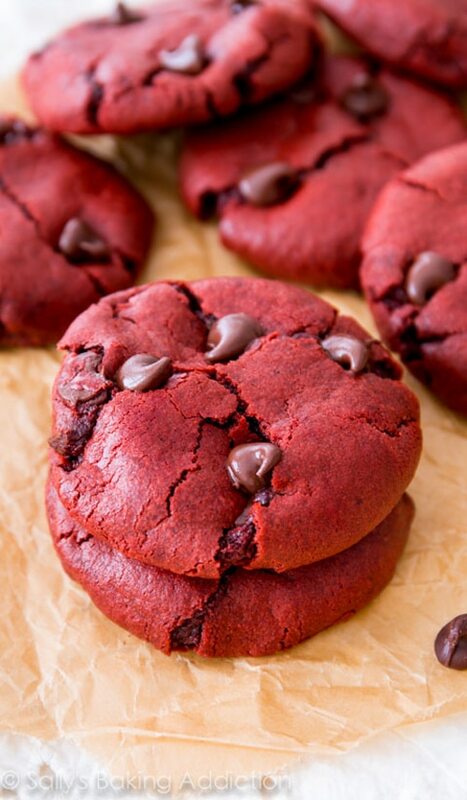 That’s why these red velvet chocolate chip cookies make the best Christmas cookie recipe for a cookie exchange. They are easy and oh so delicious! Are you a fan of Kit Kat candy? If so, these Kit Kat Cookies will be the best Christmas cookies for you and your family. Chocolate chip cookies are always better with your favorite candy added in and we totally approve of these Kit Kat Cookies for any Christmas cookie exchange. 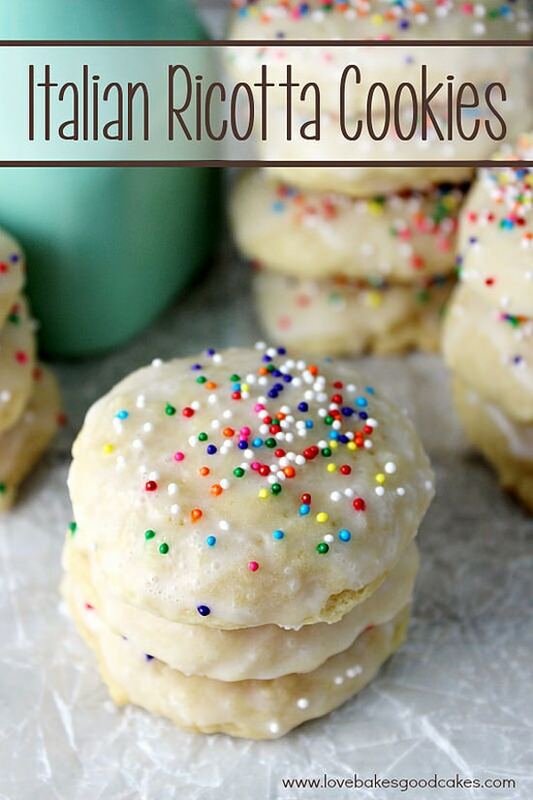 These soft and delicious Italian Ricotta cookies will become everyone’s favorite Christmas cookie recipe. Topped with an almond glaze and some sprinkles, these are easy Christmas cookies you can whip up for any cookie exchange or cookie swap. Make these cookies more festive for Christmas by adding red and green sprinkles. And there you have it – easy Christmas cookies for a cookie exchange! That’s our list of Best Christmas Cookies for a cookie swap or cookie exchange. Which Christmas cookie recipe will you make this holiday? Let us know in the comments below! Sign up for Amazon Prime and get FREE 2-day shipping on your baking products! I’m obsessed with those little hot cocoa cups!!! 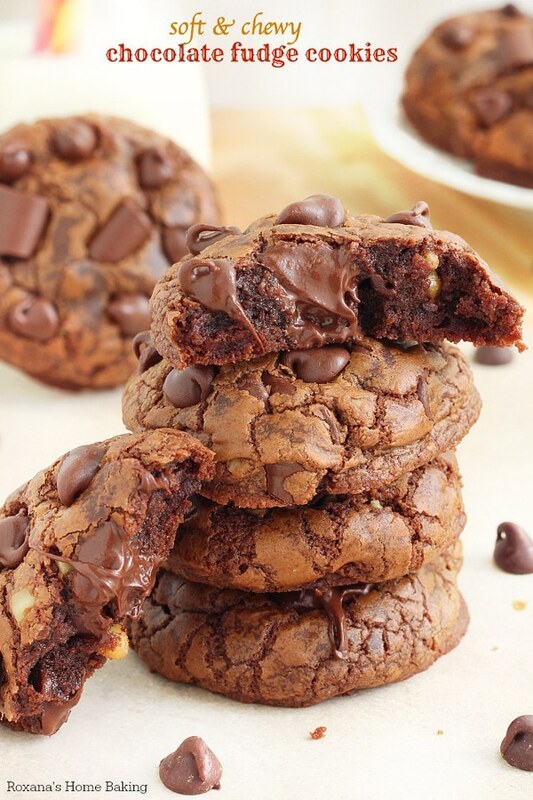 where do i get the recipes for these cookies/ I click on the link, and all i get are pictures. Which one is particular are you clicking on?